I am very happy to say that thanks to the hard work of my partner, Susan Misukanis, TopRank now has a new address on beautiful Lake Minnetonka, just west of Minneapolis. We’ve been looking for a new office space for nearly a year to accommodate our growth and unique style and finally found it on Shoreline Drive in Spring Park. 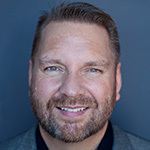 Speaking of growth, I’d like to welcome William Arnovich, public relations specialist and Mike Yanke, assistant account manager to the Misukanis Odden – TopRank team! 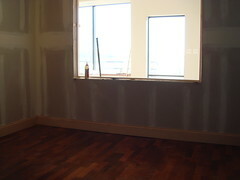 The build out should be finished this week so we can start moving in between the holidays. Because so much is still under construction, I am only posting a few photos. While the offices are in an older building, the entire inside was gutted and remodeled. 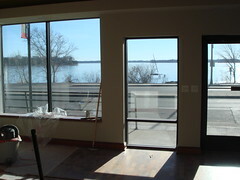 As you can see above, some of the inside offices have large windows for lake views. When everything is finished and we’re moved in, I’ll shoot a little video tour if anyone is interested. Lee, Congrats on the new digs and the addition to your fine team. Thanks Cameron, it’s been a fun adventure. Nice of you to stop by Mike! I will say hi to Sue and happy holidays to you! Congrats Lee. Lake Minnetonka is beautiful. Always knew there was something special about your straight talk on Internet marketing – you’re from the Midwest where all the good stuff comes from. I’m from La Crosse and know your area well. Ha, thanks Andy. That’s a good point actually, talented Minnesota based SEO/SEM talent is always welcome to inquire at TopRank! Hi Kevin, as someone familiar with the area, you know how nice it can be here in the glimpse of a summer that we normally get. 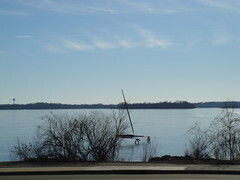 These days, summer seems to be extended a few months, all the better for a lake view office!